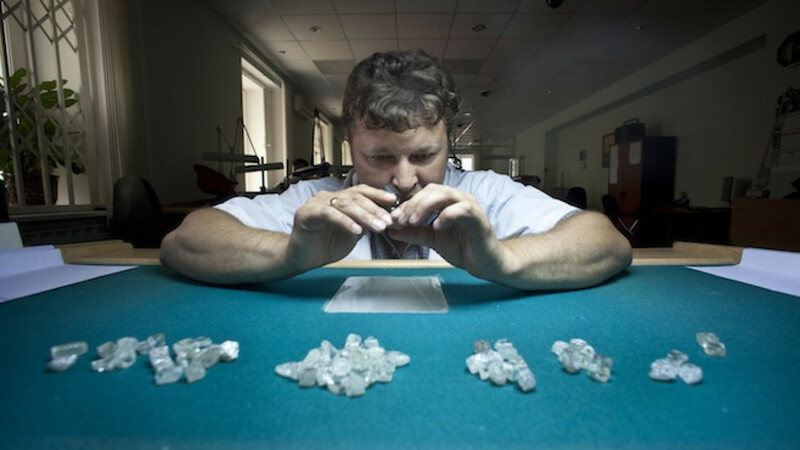 Russian diamond mining company Alrosa's profits fall 3% in first quarter. Russian diamond mining company Alrosa said on Tuesday its first-quarter 2014 net profit had decreased by 3 percent, year-on-year, due to higher foreign exchange losses. The miner, the world's top producer by output in carats, said its net profit was down to 6.1 billion rubles ($177 million) after the ruble currency weakening caused the revaluation of the dollar-denominated part of its debt. Revenue increased by 43 percent to 56.3 billion rubles ($1.6 billion) as a result of higher sales volume and the ruble weakening. Diamond sales were up 23 percent to a record 12.7 million carats. The company said it had increased available bank loans and public debt instruments to $4.2 billion as of June 24 to create a liquidity source for the upcoming $500-million Eurobond repayment in the fourth quarter 2014.